A half day workshop for those who need to build compelling presentations for use inside or outside the business. 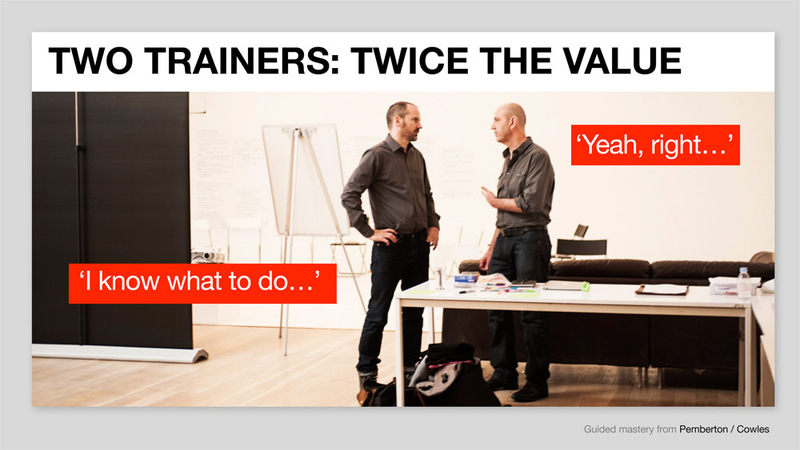 This is a unique proposition, as unlike other training courses, there are two trainers, not one. Both Andys have vast experience in the toughest of content markets, think on their feet and are highly skilled at engaging with delegates from all levels. The seven modules are all focused on just one goal – how to frame the story, focus the benefit and win over the room. All the modules are interactive, including two substantial hands-on sessions. There’s also plenty of original content. After the course, attendees can join our unique, invite-only, mentoring LinkedIn Group. Members can ask trainers any question about pitching and pitch presentations in the weeks’ after the course. No other training company offers this unique service.